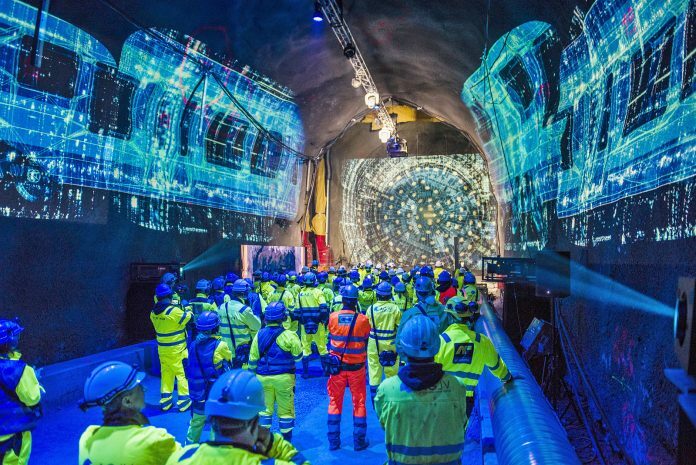 Two tunnel boring machines (TBM) achieved an historic double breakthrough near the city of Oslo as part of Norway’s largest infrastructure project. The Follo Line involves the construction of two 20km-long tunnels connecting the country’s capital city with Ski further to the south. These tunnels are set to be the longest railway tunnels in Norway and from 2021 will help to shorten travel time for commuters between the two cities by half. 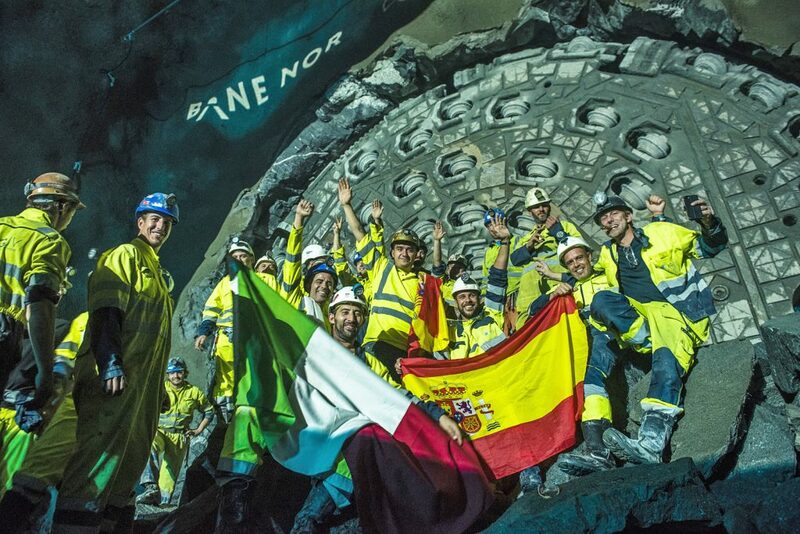 Not only was it an historic day for the client Bane NOR and customer the Acciona-Ghella joint venture, the use of a total of four double shield TBMs for the Follo Line was a first for the Norwegian tunnel industry too. Double shield TBMs are among the most technically sophisticated TBMs and combine the functional principles of gripper and single shield TBMs in one machine. It marked an advance for mechanised tunnelling technology into a country where conventional tunnelling traditionally dominates, according to Herrenknecht. However, Bane NOR project manager Anne Kathrine Kalager said that in the future TBMs will be “a realistic alternative in large projects, even in our extreme hard rock”. Since late 2016 the TBMs have each been boring their way through tough gneiss rock over a total length of around 36km. 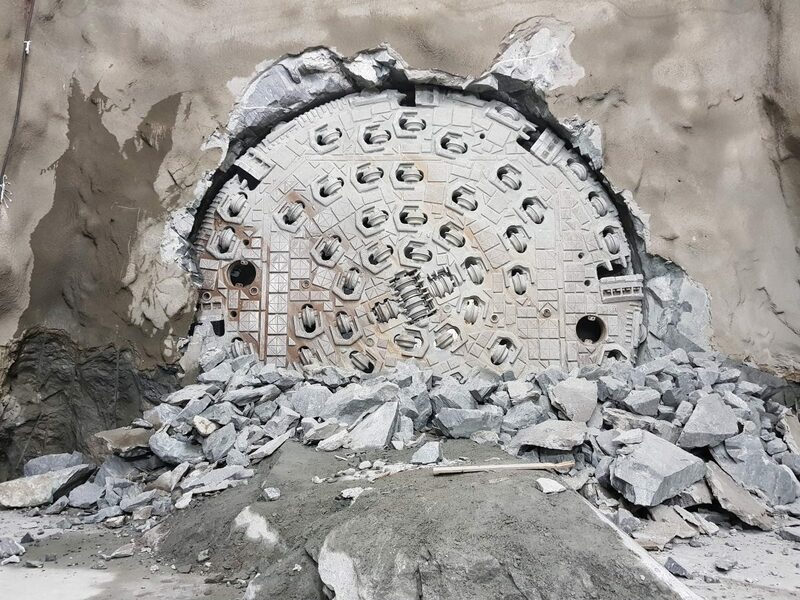 In the spring of 2019 the final breakthrough of the two other tunnel boring machines is expected, currently still underway in the direction of Ski. Until then, every day “Anna from Kloppa” and “Magda Flatestad” are boring their way through one of the world’s hardest rock types. Tunnel boring represents the majority of the long tunnel – or 18.5km of a total of 20km tunnel on the 22km-long stretch. Completion of the Follo Line Project is planned for December 2021.